Sony has announced that there’s a brand new PlayStation VR headset in the works and that it’ll feature some small changes that should make the device more convenient to use. Rather than an overhaul of the platform, this seems to be a small, incremental upgrade that will bring a new design that includes integrated stereo headphones and a brand new model number. As well as this, model number CUH-ZVR2 will come with an updated Processor Unit that supports HDR pass through. This means that users will now be able to watch HDR-compatible content via their PS4 on TV without having to disconnect the external Processor Unit between the PS4 and TV. The VR headset will, however, still have to be turned off. Unfortunately, current PSVR owners will have to continue to deal with this lack of HDR pass through support as the new model’s Processing Unit isn’t backwards compatible due to different cabling. This means that if they want to benefit from the new unit, users will have to buy the new headset in its entirety. According to Sony, the packing for the new PSVR model will be slightly different when it eventually hits store shelves to help customers differentiate – the new model number will be on the box and the image on its front will be updated to reflect the new headset design. All PSVR games will, however, work across both models and pricing will remain the same. 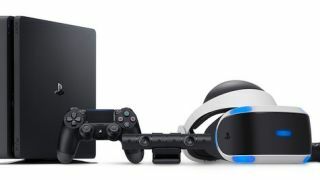 Though this new model is bad news for current PSVR owners in the sense that it doesn’t solve the problems they’re currently having, it does at least show them that Sony isn’t abandoning its VR effort and the platform is being actively supported. The upgrade will definitely be coming to Europe, North America and Japan and Sony has said that it will share launch dates soon.